UPDATE (10/27): Both teams have now issued updates statuses on the injured players. 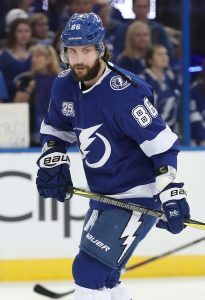 Despite the optics of each hit and the initial optimism from the Lightning, it seems that Hedman has likely suffered a worse injury than Pacioretty. Tampa Bay reports that their top defender will be re-evaluated in a week after an upper-body injury (while also noting that Ondrej Palat is day-to-day with a lower-body injury). Hedman will certainly miss the Bolts’ game against the Coyotes today and match-ups with New Jersey and Nashville later this week as well. His status for Tampa’s games against division rivals Montreal and Ottawa are in question. Meanwhile, Golden Knights head coach Gerard Gallant revealed that Pacioretty is day-to-day with an upper-body injury. Given the time taken to update his condition, it is likely that Pacioretty was evaluated for a concussion but seemingly avoided one. Vegas also faces the Senators and Predators in upcoming games and the winger’s availability could be a game-time decision for each. As the video shows, Pacioretty was carrying the puck and Coburn was simply playing his man. As Pacioretty cuts to the right, Coburn lands a shoulder right to his face. Pacioretty did get right back up, but quickly skated off and looked uneasy. “Patch” did not return to the game and Vegas has not issued an update on his status. An update should be expected soon, with the Golden Knights set to host the Ottawa Senators on Sunday and potentially in need of a roster move. In contrast, Tampa Bay was quick to rule out Hedman, as The Athletic’s Joe Smith received word before the end of the period. Reaves hit itself was not bad, but caught Hedman off balance. The superstar defenseman crashed into the boards and quickly skated off the ice once he was back on his feet. It was unclear whether his head injury was more of a concussion concern, like Pacioretty’s, or instead a possible neck issue as a result of an awkward landing. If Pacioretty did indeed suffer a serious head injury that will sideline him for some time, Vegas will have to make up for his offense. The former Montreal Canadiens star has only two goals through nine games, but is a five-time 60+ point player. Between he and Paul Stastny, out with a lower-body injury, the Knights would be without their two major off-season additions and expected top-six core contributors. Fortunately, the team has Alex Tuch back from the injured reserve to help pick up the slack. Cody Eakin, who has four points in six games while dealing with injuries of his own, will also be expected to step up. A Hedman absence would be a major loss for the Bolts, but not one that would be impossible to overcome. Between Ryan McDonagh, Mikhail Sergachev, and Coburn, the Tampa lefties will be leaned upon more. Slater Koekkoek would also be likely to see some action, filling Hedman’s roster spot. With a game tomorrow at the Arizona Coyotes, it would be no surprise to see the reigning Norris Trophy winner sit at least one game. More information on the status of both players should be available soon. Free agency is now less than a day from opening up and there are quite a few prominent players set to hit the open market while many teams have key restricted free agents to re-sign. Here is a breakdown of Tampa Bay’s free agent situation. Key Restricted Free Agent: F Cedric Paquette — Nine points hardly seems like a lot of points for key restricted free agent, but the 24-year-old Paquette isn’t about offense. The defense-first forward has been a key part of the team’s bottom-six line, which included Ryan Callahan and Kunitz line that was constantly put against opponents’ top lines. Now that he’s been qualified, Paquette, who scored just five goals during the regular season (and one in the playoffs) might be more needed than ever with Kunitz likely headed elsehere. Regardless, he could be in line for a significant raise after making $812K last year on his two-year bridge deal. Now with arbitration rights, he could walk away with quite a bit more. D Slater Koekkoek — The 24-year-old blueliner has worked hard to try and break into the deep defensive core of Tampa Bay and did manage to get into 34 games last season and avoid a trip down to the Syracuse Crunch, but Koekkoek’s usefulness came to an end after Tampa Bay acquired Ryan McDonagh at the trade deadline. From that point on, he appeared in just three regular season games and did not appear in the playoffs. While the team intends to bring him back, recent rumors that the team might consider trading the youngster are also a possibility. He made $800K last year on a one-year deal. Other RFA’s: F Adam Erne. 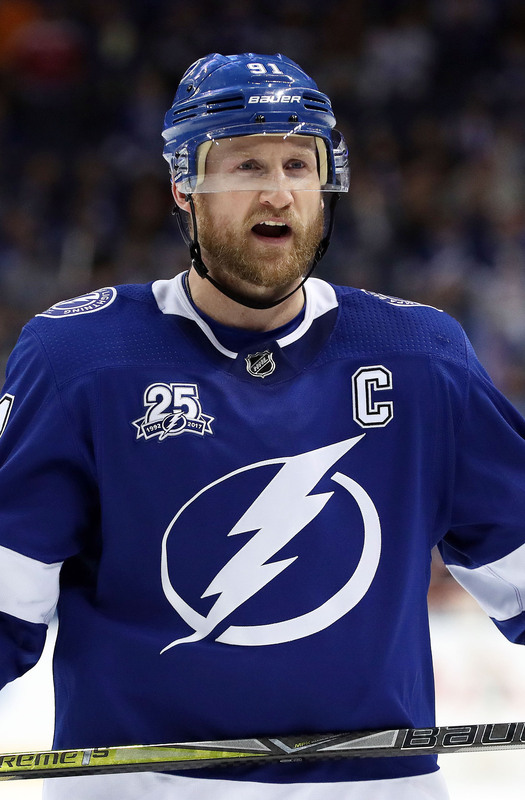 Key Unrestricted Free Agents: Andrej Sustr — The 27-year-old depth defender could easily find himself on a new team with the amount of defenders under contract in Tampa Bay. 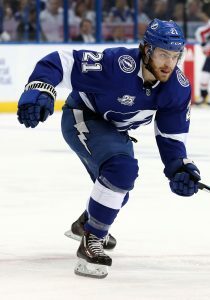 The blueliner had been a regular on the Lightning’s defense over the past three years, but he found himself often a healthy scratch with the addition of players like Mikhail Sergachev, Jake Dotchin, Koekkoek as well as McDonagh. After making $1.95MM last season in the last of his restricted free agent years, the team must decide if they want to bring back the undrafted free agent they signed back in 2013. Chris Kunitz — The 38-year-old winger was a big part of the Lightning’s shutdown line along with Callahan and Paquette in his one year with Tampa Bay, but there is little indication that Kunitz is expected return. Despite a productive season in which he tallied 13 goals and 29 points last season, rumors suggest he’s interested in a possible return to Pittsburgh. Other UFA’s: D Mat Bodie, F Erik Condra, F Alex Gallant, D Jamie McBain, F Matthew Peca. 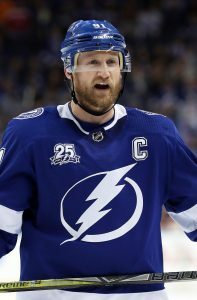 Projected Cap Space: The Lightning don’t have much cap space to work with this offseason as the team has just $5.3MM. On top of that, Tampa Bay has quite a few free agents they must deal with next year including Nikita Kucherov, McDonagh and Yanni Gourde to name a few, so they need to have as much cap room to maneuver with as possible. Despite their interest in John Tavares, don’t expect the team to dip heavily in the free agent market this year and more likely depend on their AHL depth to carry them through. It looks like the Toronto Maple Leafs are at the top of at least one list. CapFriendly released a list of teams with Bonus Overages for this year, which result from players on their entry-level contracts hitting their standard bonuses. Nine teams’ performance bonuses went over the salary cap with the Maple Leafs leading with $2.55MM, which will now count against their 2018-19 cap. The bonus overages range from Toronto’s $2.55MM to the Minnesota Wild’s $25K. The Maple Leafs’ bonuses came from just three players from the entry-level contracts of Auston Matthews, Mitch Marner and William Nylander which totaled the $2.55MM. Since the team had no remaining cap room in 2017-18, it pushes over to the following year. Most of the nine teams were at the cap threshold, while others like the Vancouver Canucks, St. Louis Blues and the Tampa Bay Lightning had some cap room to take a part of the bonus hits. Two teams bonuses could still go up as Boston’s Jake Debrusk and Tampa Bay’s Mikhail Sergachev could each receive bonus if they are named to the All-Rookie Team. The Ottawa Senators and Erik Karlsson are both working hard on making a deal happen by the trade deadline with the Tampa Bay Lightning being the leading candidate to acquire the star defenseman, according to Elliotte Friedman Saturday on Hockey Night in Canada. While negotiations haven’t reached their final stages, other teams have also shown interest in Karlsson, including the Nashville Predators, San Jose Sharks and the Vegas Golden Knights. The idea that Karlsson could end up in Tampa Bay is not unrealistic considering he is close friends with fellow Swede Victor Hedman. The two playing on the Lightning’s blueline could be the ultimate piece for a team that want to win a Stanley Cup this year. However, what would be the cost? While Tampa Bay has quite a lot of solid prospects they could deal, Ottawa would almost definitely be looking for a major piece from the team’s active roster with names such as Brayden Point, Yanni Gourde and Vladislav Namestnikov, rumored to be names that Ottawa would want back. Friedman added in the segment that he believes if Ottawa is willing to accept Namestnikov as the centerpiece of the deal, “that’s something that Tampa would do.” However, the real question is what else would Ottawa want? The team is unlikely to part with 19-year-old Mikhail Sergachev, who seems to have turned the corner after recent struggles. You also have to factor in the injury to Ondrej Palat, who is out for another two or three weeks with what many believe is a high ankle sprain. Does the team have enough depth to survive without a Namestnikov, who is a major influence on the team’s first line. The 25-year-old is having a breakout season with 20 goals and 24 assists in 62 games this year. He is only making $1.94MM this year, but will be a restricted free agent next year, which could make him harder to sign for the future.